1. To babysit, all you really have to know is to say "No! ", "Stop!" and "Watch out!" - advice given to them by the owner of the pizza stand who asked them to babysit the chimps in the first place. Granted, I haven't babysat in a while, but I remember it being a little more complicated than that. 2. Even the Fresh Beats know about the Saturday Night Live cowbell skit. But it is just not as funny without Will Ferrell. 3. 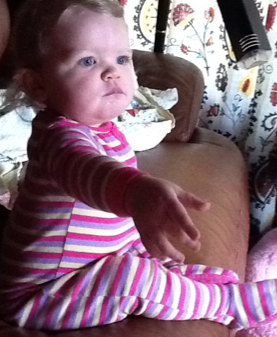 Monkeys throwing fruit at people really upsets Isabel. At one point, when saying "No!" and "Stop!" had failed, the chimps got into the smoothie stand and started throwing fruit at the Fresh Beats. This made Isabel really upset and she puckered her bottom lip and tears filled her eyes. It was the most endearing, ridiculous thing I have witnessed all morning! Of course, the Fresh Beats got everything under control, and Isabel climbed in my lap for a little mama love, and now everything is alright in the world again, but it was touch and go for a minute. 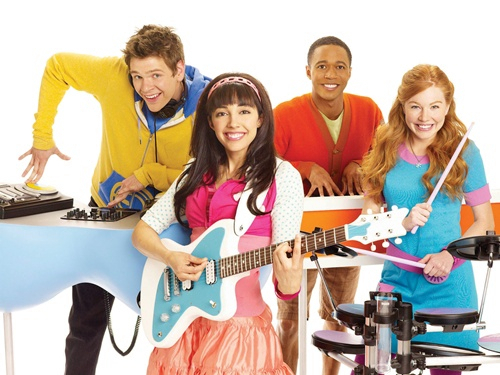 Long live the Fresh Beat Band... No matter how many Marinas they go through.